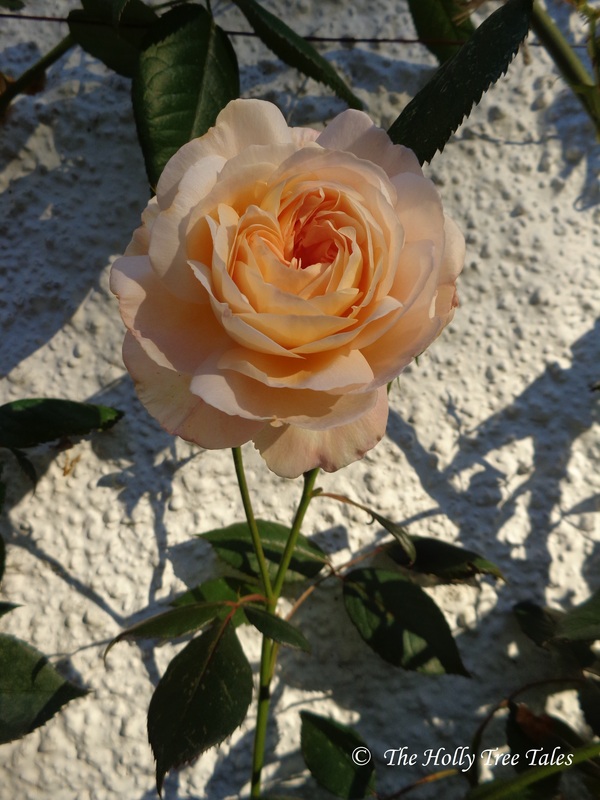 The rose pictured is “A Shropshire Lad”, by David Austin Roses. It grows against the wall, near to where I work on my computer and has the most wonderful blooms, with a fresh and fruity scent. Its foliage is gorgeously dark and healthy, starting off almost burgundy and maturing into a deep, dark glossy green. It is a picture of health and hopefulness, both as it comes into leaf and when it is in full growth in Summer.